…partnering the skirt with a basic white shirt. Okay, she didn’t exactly say the words but it doesn’t take a genius to figure out that it’s one of her infallible fashion tricks. Just Google Reese Witherspoon and her skirts and you’ll find quite a number of photos of her in this go-to ensemble. Her latest look involves yet again another plain white button down shirt. 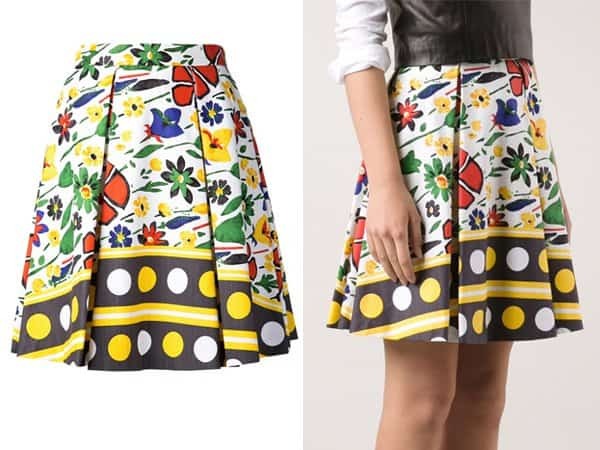 But this time, the actress takes it up a notch with a colorful geometric-printed skirt. 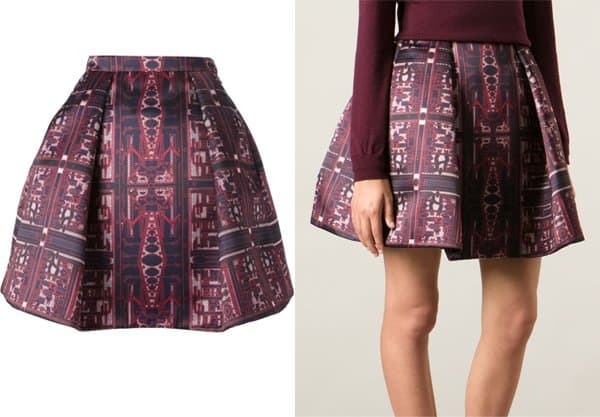 The print on the 38-year-old’s skirt reminded us of carnivals and swirly lollipops, for some reason. It must be the red, pastel blue and white theme or the striped red print. Reese looked ready to take on the world in this faultless ensemble. She meant business in her crisp white top but the skirt took care of the fun in the outfit. The overall effect is classy, thanks to the addition of the simple red sandals, chunky accessories, the white Hermes Birkin bag and the big pair of sunglasses. 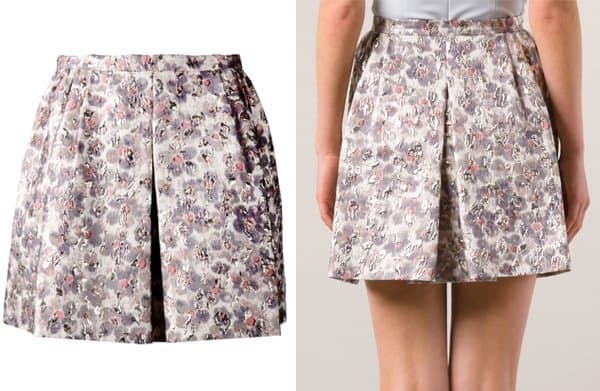 With a plain white button down shirt and an array of printed skirts, you will never run out of stylish outfits!